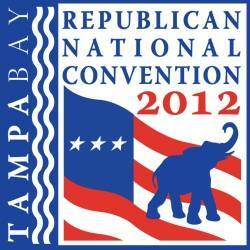 TAMPA, Florida -- Republican National Committee Chairman Reince Priebus today announced that Florida's U.S. Senator Marco Rubio will have the key role of introducing Mitt Romney for his speech to accept the Republican nomination for president of the United States on Thursday, August 30. Governor Romney's Thursday night address, which Senator Rubio will introduce, is the high point of the four-day Republican National Convention, August 27-30. The presidential nomination acceptance speech by Senator John McCain at the Republican National Convention in 2008 drew 38.9 million viewers across the country, nearly as much as the viewership of this year's Olympics opening ceremonies and similar to the viewership of the Oscars. This year's convention speeches will also be broadcast live online. "Senator Marco Rubio is without a doubt one of America's most dynamic and inspiring leaders, and I am excited to announce that he will introduce Governor Romney at the Republican National Convention," said Chairman Priebus. "Senator Rubio is a proven leader and a man of true character, and it is fitting that he will take on such an important role at our convention in his home state. Throughout his career, he has shown true dedication to constitutional principles, fiscal responsibility and free enterprise. As the son of immigrants, he has witnessed the promise of the American Dream firsthand and has worked to secure that promise for future generations." "The Republican National Convention in the great state of Florida is going to be an historic event. We are excited to nominate Mitt Romney and Paul Ryan and restore great leadership to our country. Future generations of Americans depend on the hard work we will do in the weeks and months ahead, and I know that together we will be successful in changing Washington and putting leaders in place who are committed to creating more jobs and opportunities for our people," said Senator Rubio. "Marco Rubio symbolizes the greatness of the American dream. He is the perfect leader to introduce Mitt Romney when he accepts his nomination. We are an extraordinary country because we have fought to preserve individual liberties that are the heartbeat of opportunity and achievement. Senator Rubio has experienced this in his own life, which will help him bring tremendous focus to how Mitt Romney and Paul Ryan's agenda will lead the way to a better tomorrow," said Republican National Convention Chief Executive Officer William Harris.